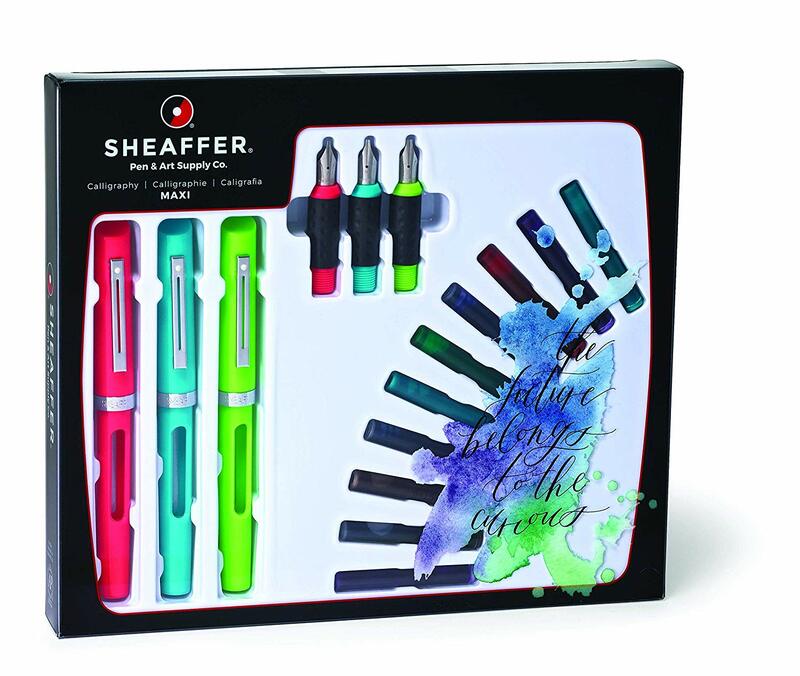 Sheaffer Calligraphy Classic has been created specifically for anyone eager to practice the art of calligraphy. The detailed instructions and quality tooling included in this set provide all the necessary materials for the beginner Calligrapher to learn easily and quickly. 3 comfortable grip Viewpoint® pens featuring a visible ink cartridge. 3 color-coded nib grades: 1 fine (0.8mm), 1 medium (1.3mm) 1 broad (1.8mm).